C’mon all you cowboys and cowgirls, it’s time to swing your partners to the live band sounds of Gunsmoke, pony up to the whiskey bar, make a few bets at the local saloon and hitch a ride on a mechanical bull! 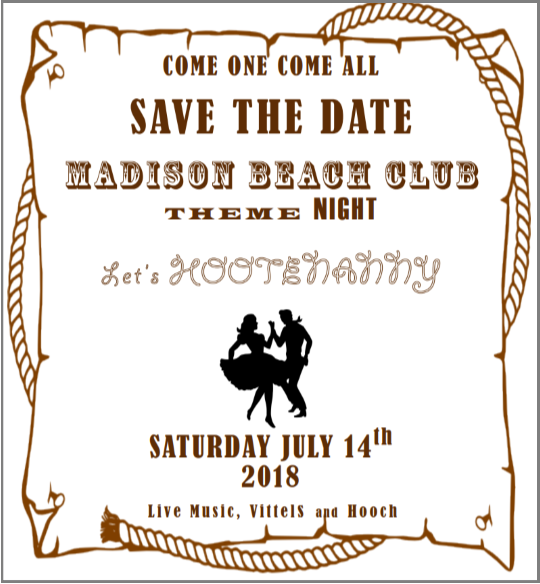 Join your fellow buckaroos on Saturday, July 14 at 6:30pm for a wild and wooly western- style Hootenany! Cowboy hats, boots and jeans required. Leave your guns at the corral. Party starts at 6:30pm!